Oh my great shot composition.. Beautiful beyond description!! Beautiful handle! 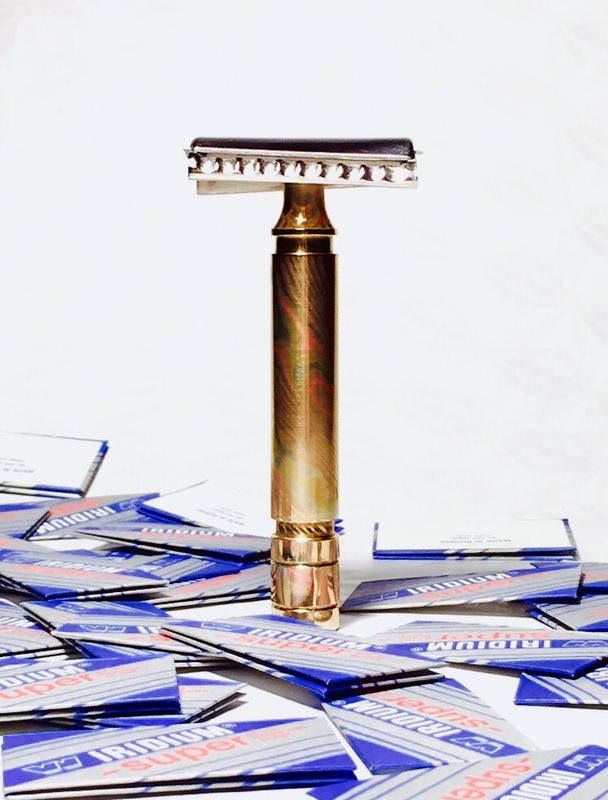 You are a lucky man with a one-of-a-kind razor handle from our friends in Spain! Congratulations!!! Congratulations, that is a very unique handle. thank you fellows for your kind words and high praises. the handle is indeed special. it has great presence and sings with a gentle voice of an unknown language, like a shaman communicating with the unseen. its striking combination of simplicity and complexity penetrates beyond its skin, and will never be polished but gradually take on a natural patina of its own. Is that handle gift for me? help! a psychiatrist please - jack is in need of a straitjacket and an injection now! metal was forged by mr sakmar, composed of brass, copper and pakthong. the temporary nickel razor head in photo is made by lutz, but a special one of a kind slant head in silver is in the working just for this handle. "a special one of a kind slant head in silver is in the working just for this handle"
Is that going to be a sterling silver head? Couldn't have went to a better fella!! It's beautimous!!! Can't wait to see it paired with the new slant head!! Oh yeah... MORE pictures!!! please!! (01-12-2015, 12:11 PM)scottb7862 Wrote: Couldn't have went to a better fella!! It's beautimous!!! Can't wait to see it paired with the new slant head! !